Like the beach? Like to golf? 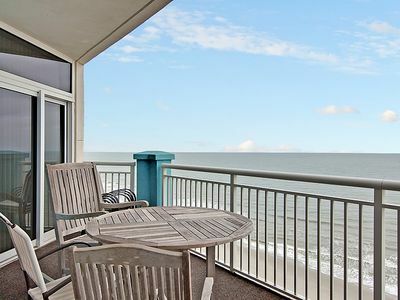 Want a week long, month long or seasonal getaway in beautiful North Myrtle Beach, SC? 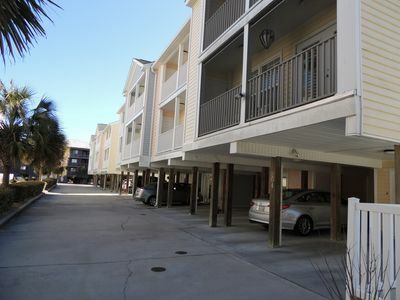 We offer a spacious 3 bedroom, 2.5 bath vacation rental in a quiet, private community only 3 blocks to the beach. 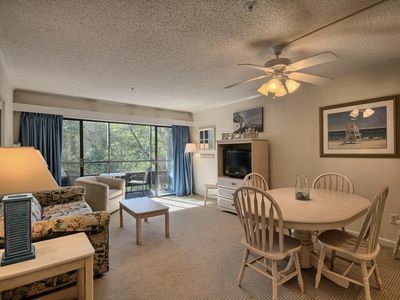 Stay connected, as long distance and wireless internet are provided with your rental. 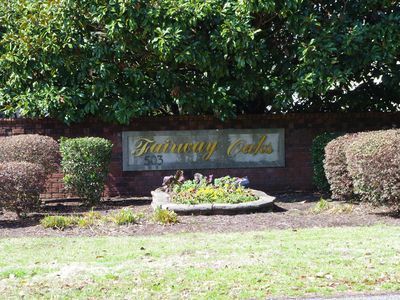 Fairway Oaks offers a quiet and safe neighborhood with a large swimming pool and hot tub. 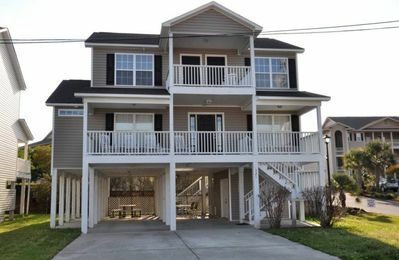 Cherry Grove beach is only a few blocks away. 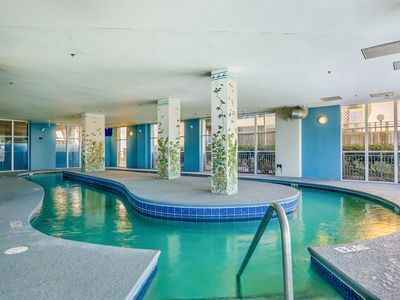 Other amenities are located close by. 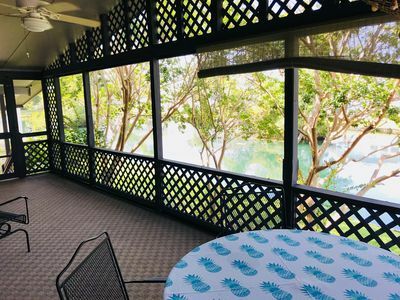 To maintain our community's desirability, no motorcycles, trailers or recreational vehicles are allowed, only two cars are permitted, and noise restrictions are enforced. 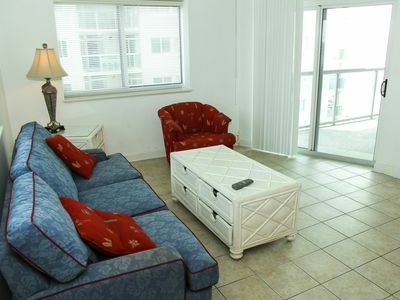 Overlooking the Surf Golf & Beach Club, this furnished condo offers 2 floors of spacious living. 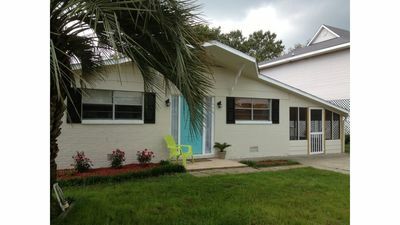 Upstairs - two bedrooms (2 twin, 1 double, 1 queen) & full bath. 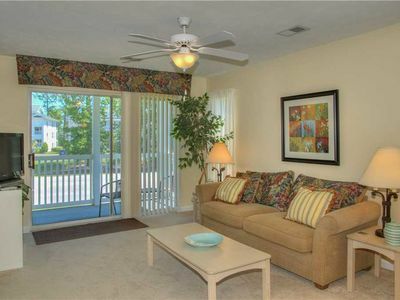 Downstairs - master bedroom with ensuite (1 king), kitchen, half bath, dining/living area with big screen TV. 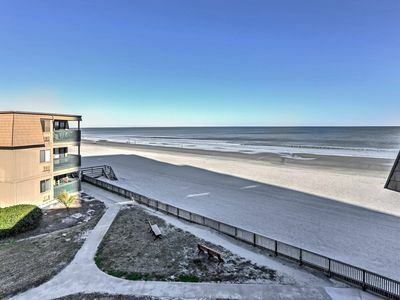 Come enjoy the mild winters, warm spring and fall and hot summers in North Myrtle Beach, SC...play golf or just enjoy the golf views from the patio, walk on the beach, enjoy the nearby shops and restaurants and the friendly folks in Cherry Grove. 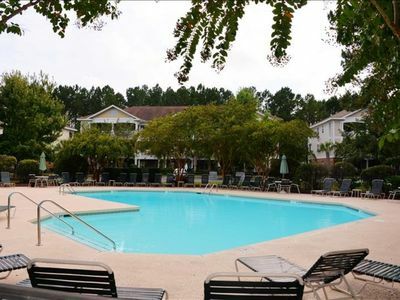 Come enjoy the beauty and tranquility that is Fairway Oaks in the Cherry Grove District of North Myrtle Beach. Enjoy the privileges of private Country Club life at The Surf Golf and Beach Club. We can organize a package for play at The Surf and/or other area courses with which we have relationships. We can match you with the courses that will meet your golfing expectations. Sadly there is No smoking and No pets. 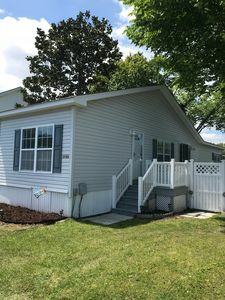 Minimum Age to sign Rental Agreement is 25. A completed RENTAL AGREEMENT must be returned before the rental can be confirmed. 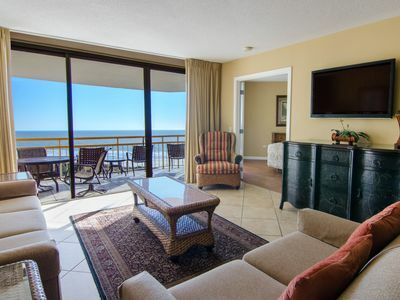 Ocean View Condo - Just Steps to the Beach, Pools & Lazy River! 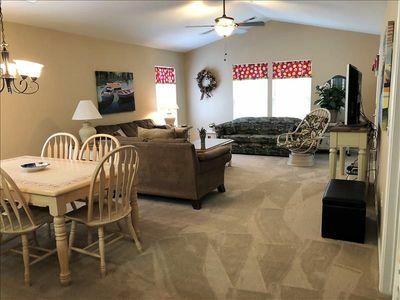 Whoa this condo sleeps 8 people! 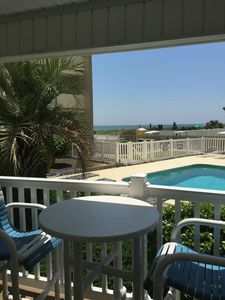 5 miles from the beach! Last minute Monthly Special!!! Call Today !! 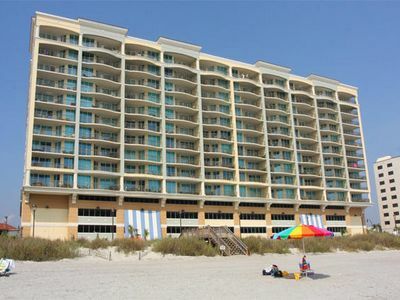 Amazing 4 Bedroom Ocean Front Penthouse Unit! 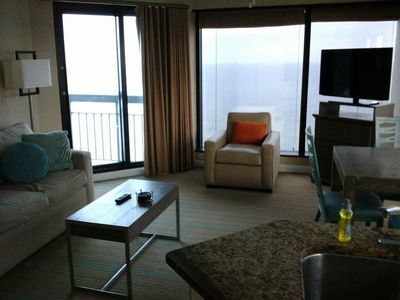 Oceanfront Myrtle Beach Condo-9.5 Mi to Boardwalk! High Speed WiFi included! 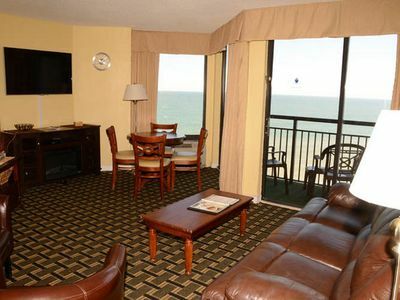 Great rate in Oceanside Village! Gorgeous cottage on the water! 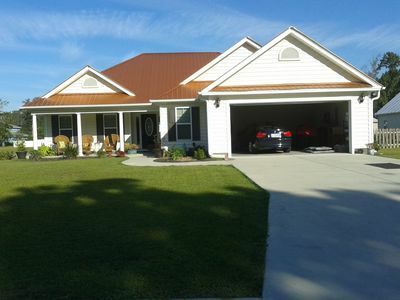 GOLF CART, Cable & WIFI INCLUDED!!! 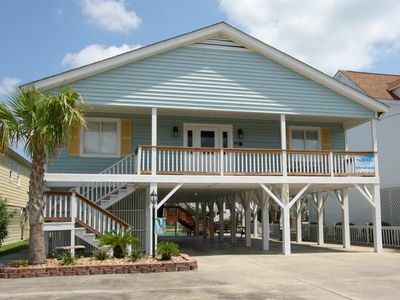 Oceanfront Luxury Villa On The Boardwalk! Just 3 Blocks To Country Music Fest!